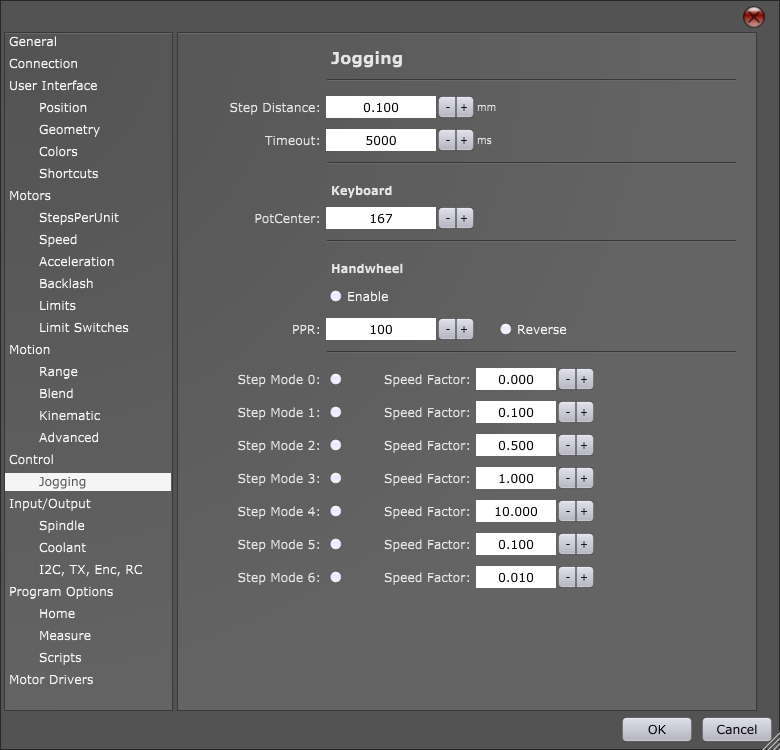 For purposes of machine jogging, user can use on screen jogging keys, PC keyboard keys or external jogging keyboard. First under IO tab observe which jogging keyboard keys activate which JOG input. Sometimes our NC program does not perform quite as we plan. Many times just a small correction of g-code does the trick and for this we need to edit our NC program. For this purpose you can use built-in “Edit” feature. Edit feature is located under Program menu. With “Update” button edited g-code is loaded into g-code window. If you want to save your variable and parameter values or any other log data in a form of a file, you can use LOG command. LOGOPEN: Creates new LOG file. Example 1: G-code program will create LOG file where desired data will be saved. Example 2: G-code program will create two separate LOG files where data will be saved. Created LOG files are located in current folder. User can also explicitly tell where created LOG file will be located. User can add custom features to PlanetCNC TNG software. Examples of such are various frequently used machining programs, various measuring procedures or any other machine motion sequences that help user with workpiece or machine setup before starting machining process. 1.) 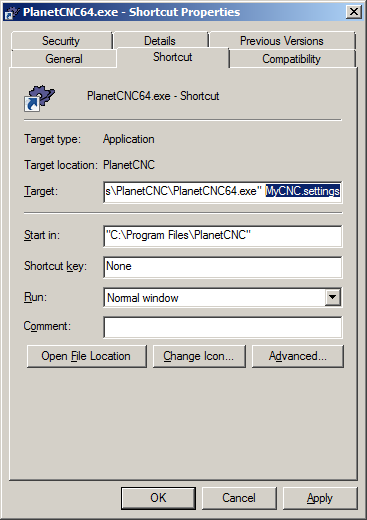 Access your PlanetCNC install folder and locate Profiles folder. Open desired profile folder and locate folder Scripts. Make sure that name of the file includes UDn text. n stands for order number of user defined file. Since there are already 5 pre-existing user defined files (UD1-UD5), our newly created file will have order number 6. File should be saved as .gcode file. 3.) We will write most basic custom feature g-code. 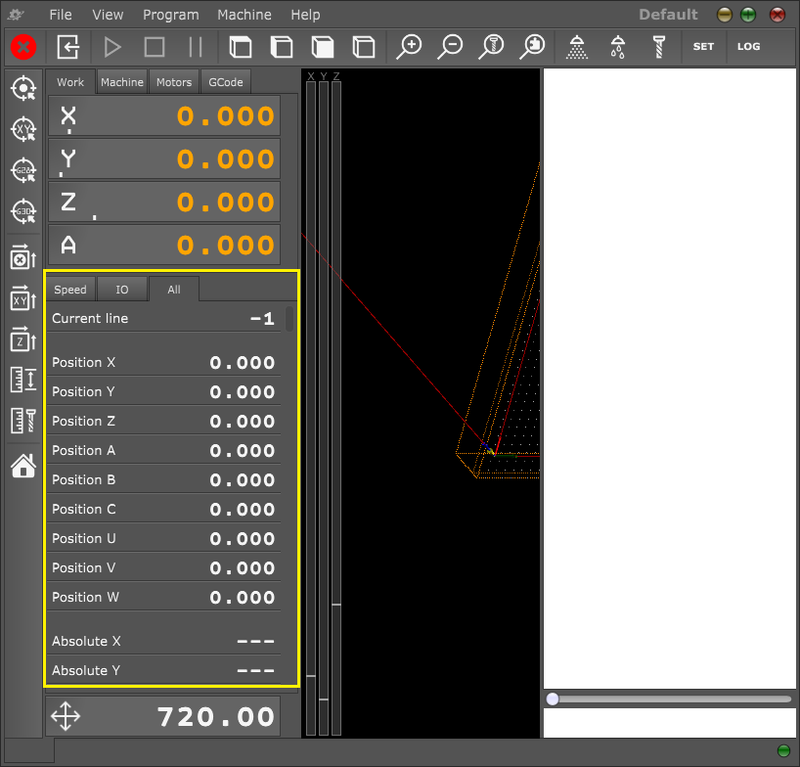 Open newly created file UD6.gcode with text editor. 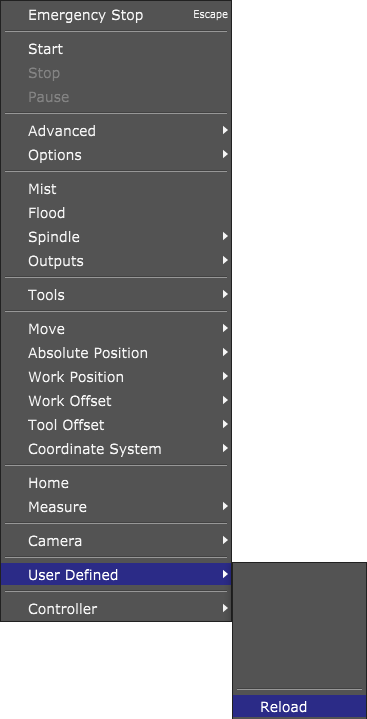 This custom feature will load as g-code program in g-code window and it will turn spindle ON when you start it. It will be available under Machine/User Defined menu as Spindle ON. 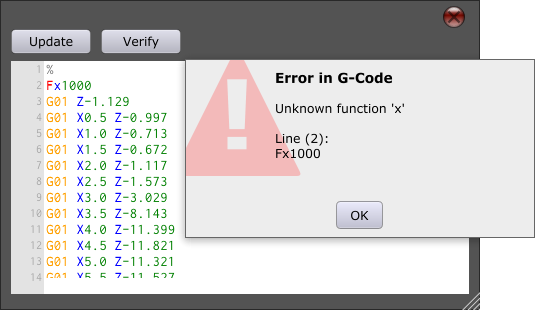 If you change first line (name,Spindle ON, 1) to (name,Spindle ON, 0), notice the zero, then program will start instantly without prior loading g-code into g-code window. 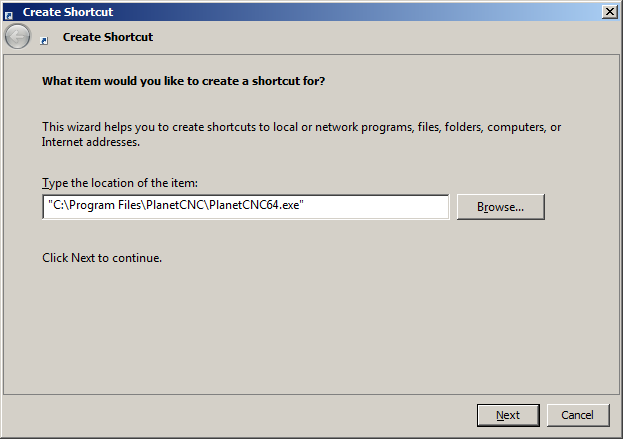 To add any future user defined feature into PlanetCNC TNG software, please follow steps above. User can add user buttons to software toolbars. 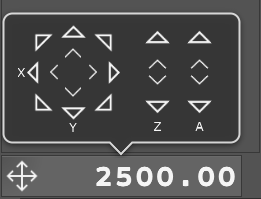 These custom buttons can execute any feature from File, View, Program, Machine and Help menu. 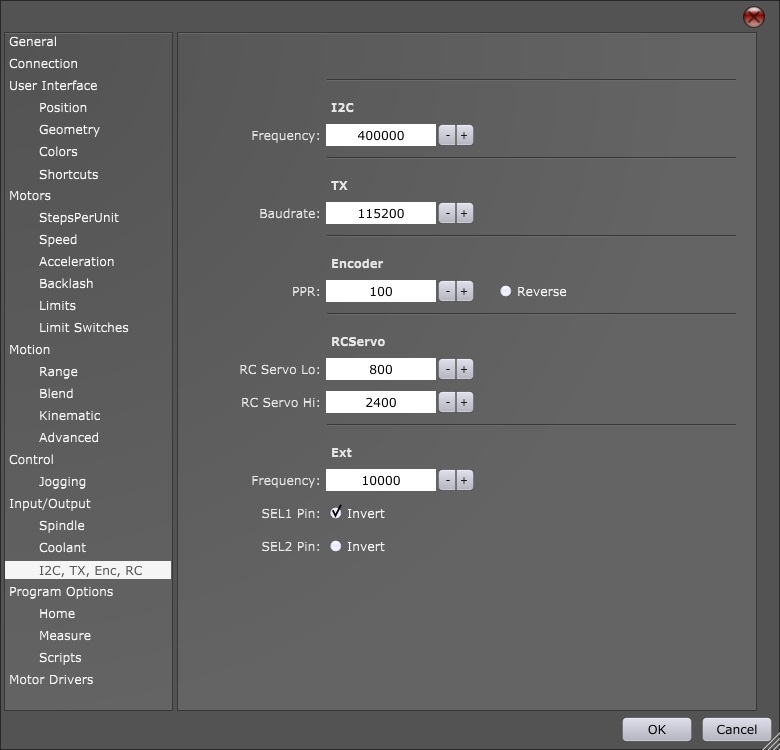 Buttons can execute also custom procedures. This will make any software feature even more accessible and easier to use. 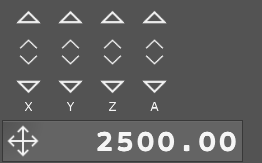 Buttons can be added to top, bottom, left and right sided toolbars. Open BtnTop.txt file with your text editor. 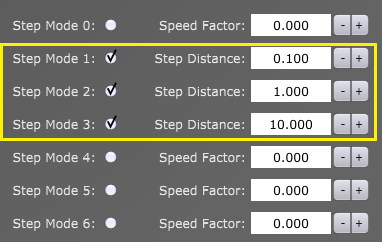 Code which creates button is actually path to menu location of this feature, with difference that level is replaced with “.” and spaces are replaced with “_”. 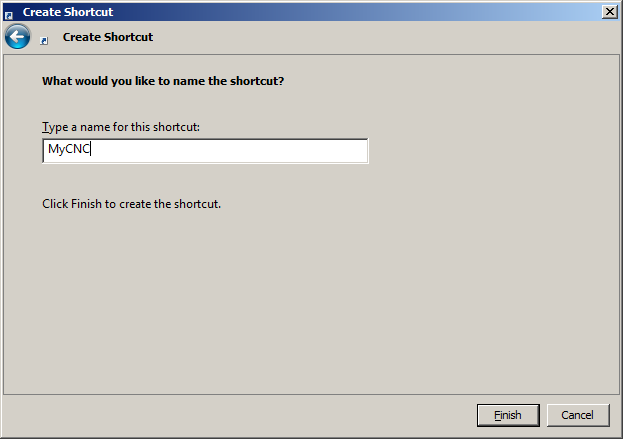 To name a button, use one space before name text and put name text into quotes (“name”). Open BtnLeft.txt file with your text editor. 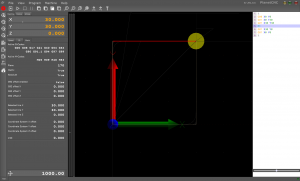 Code which creates button is actually path to menu location of this feature, with difference that level is replaced with “.” and spaces are replaced with “_”. Since we are creating button for custom feature we also need to write name of user defined file, in our case this is UD1.gcode(Square). To name a button, use one space before name text and put name text into quotes (“name”). This example will demonstrate how to add custom button icon for newly created user button, in this case, for our Edit button. 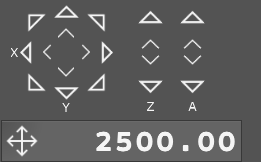 Button icons use .PNG files that are located in Icons folder of specified profile folder. Icons folder already includes default .PNG files but you can add your own .PNG files. For this example we will use PNG file “Icons/IMG_BTN_FileOpen.png” that is already included in Icons folder. User can also hide default toolbar buttons from being displayed. User can completely remove all toolbar buttons and use only those which are needed, either default buttons or user buttons. 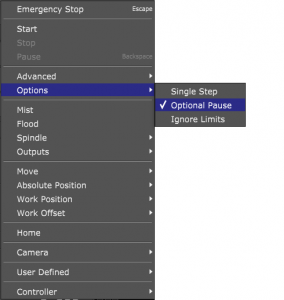 This tutorial will describe how to create script file for short delay after Mist(M8)is turned ON. With PlanetCNC TNG, user can create or customize g-code procedures (e.g. for M7,M8 g-codes, M6 g-code) using script files. Script files are located in Scripts folder of corresponding profile in PlanetCNC TNG installation folder. 1. Start PlanetCNC TNG software and click File/Settings/Program Options/Scripts and find M-code option. 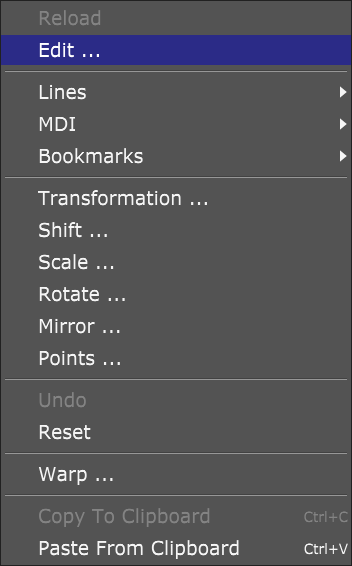 From drop down menu select M8 and click Edit Script. Now after each time we turn Mist ON, software waits 5 seconds before it continues with program execution. PlanetCNC TNG accepts commands from command line. Only one software instance can run at same time. When you run second instance it will simply pass its arguments to running instance. Running instance will process these arguments and execute command. 2. Go to PlanetCNC TNG installation folder. Usually “C:Program Files (x86)PlanetCNC”. 3. Type PlanetCNC64.exe. Software will start. 4. Type PlanetCNC64.exe gcode “G01 X10G01 Y10”. You will notice that two g-code lines are now loaded. 5. 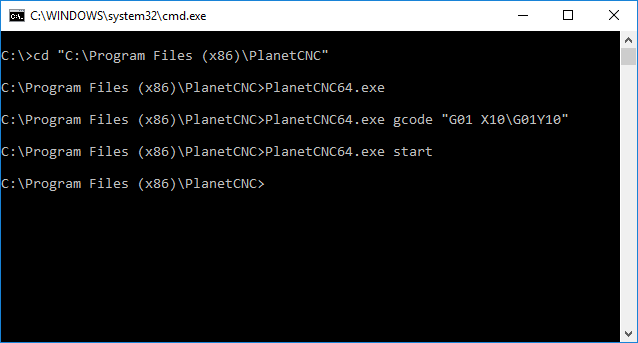 Type PlanetCNC64.exe start. Machine will start and g-code will be executed. More advanced option is to use named pipes. Named pipes is simple cross-platform interprocess communication mechanism. It is possible to use named pipes in almost all programming languages. PlanetCNC TNG must be running otherwise it will not receive command. If you do not want to show main window you can start software with “hide” command. Both options described above use same commands. Here is a list and brief explanation. You can also start your own program from gcode. Optionally you can wait for program to finish before g-code continues or you can pass parameters. Make sure that myprogram.exe is added to whitelist in settings otherwise TNG will refuse to execute it. Hint: This external program can use named pipes to set some g-code parameters. TNG will use these parameters when g-code execution will continue. With PlanetCNC TNG user can create own custom tabs. Tabs are displayed on main user interface and can include any parameter used by software whether its tool offset value, number of g-code line or absolute position of machine. 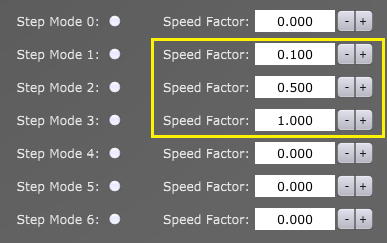 By default, software will display tabs “Speed” and “IO”. 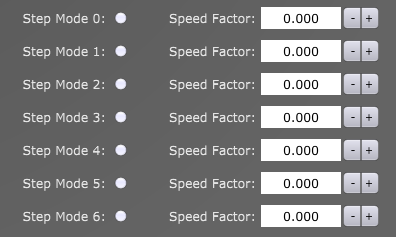 User can create maximum of 5 state files, meaning, you can display up to 5 custom tabs. To create new custom tab, access your PlanetCNC install folder and locate Profiles folder. Open your profile folder and create new .txt file and name it State3.txt. Now locate State5.txt file in your PlanetCNC install folder under Samples/Templates. Open file and copy whole text. Paste this text to your State3.txt file. Save changes and close State3.txt. Also close PlanetCNC TNG software. State3 tab file named “All” should be visible upon new launch of PlanetCNC TNG software. 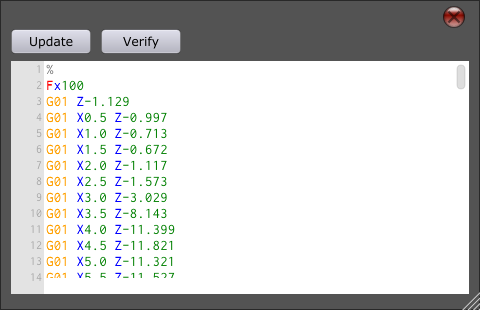 This tab will display all parameters and is meant as demonstration tab. We recommend that you use selected parameter names from State5.txt file and create tab that will display only parameters that you wish to display. PlanetCNC TNG software supports, next to the conventional M00 pause, also optional M01 pause. You can enable/disable optional pause while program is running, so you would not need to restart the program in order to use optional pause feature. You can insert M01 optional pause at different locations in your program. 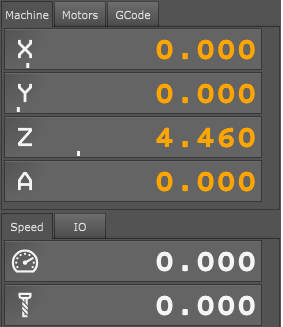 So when you run your program for the first time, you can have these pause checkpoints in-between, where you can check up on machine or machining parameters, measure your work piece or tool wear, check fixture position etc..